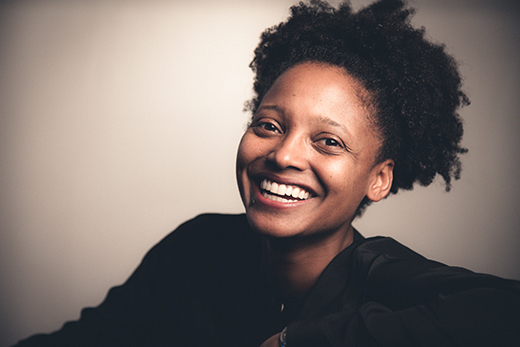 Watch "A Tribute to Seamus Heaney in Poetry and Song"
Saturday, Feb. 17, at 4 p.m.
Tracy K. Smith, the current U.S. poet laureate and Pulitzer Prize-winner, will give a reading of her poems on Saturday, Feb. 17, 2018, at 4 p.m. at Emory University’s Schwartz Center for Performing Arts. Smith’s honors include an Academy of American Poets Fellowship, a Rona Jaffe Award and a Whiting Award. She is the Roger S. Berlind ’52 Professor in the Humanities and the director of the creative writing program at Princeton University. Her next collection of poems, “Wade in the Water,” is forthcoming in 2018. The reading is part of the Raymond Danowski Poetry Library Reading Series, now in its 13th season. Smith is the seventh U.S. poet laureate to be featured in the series. Smith took part in “A Tribute to Seamus Heaney: An Evening of Poetry and Song” at Emory in October 2014, along with fellow poets Natasha Trethewey, Kevin Young, Belinda McKeon and William Corbett. She also visited Emory in March 2014 to deliver the Feminist Founders reading and participate in a colloquium, then a conversation with former U.S. Poet Laureate and Emory professor Natasha Trethewey. Her upcoming reading is sponsored by Emory Library and Information Technology Services (LITS), the Rose Library, the Hightower Fund and the Creative Writing Program at Emory.